The Giants are in a free fall, as they got absolutely clobbered by the Eagles, losing 40-17. Eli and the offense looked frazzled, the defense couldn’t get a stop, and kickoff coverage was atrocious. The Giants have now lost three games in a row. All three were pretty ugly losses. Giants need to get it together. Fast. The Eagles started off the scoring a minute and a half in, on a 41 yard run by fullback Leonard Weaver. Just two minutes later, the Eagles were at it again, scoring on a 17 yard pass to Brett Celek. The Eagles scored quickly in the second, on a 30 yard field goal by David Akers. The Giants gained a bit of life late in the half, and got a touchdown on a 18 yard pass to Kevin Boss. That didn’t frazzle the Eagles, as they scored on a 54 yard bomb to DeSean Jackson just 14 seconds later. The Eagles weren’t done, adding one more score on a 23 yard pass to Jeremy Maclin. The Eagles led 30-7 at the end of the half. The Eagles started off he scoring in the third, after a Domenik Hixon fumble gave way to a 35 yard field goal by David Akers. Lawrence Tynes connected from 42 yards to make the score 33-10 Eagles. 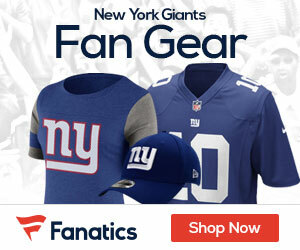 The Giants added a touchdown late in the 3rd quarter, on a 1 yard run by Ahmad Bradshaw. The Eagles started off the 4th quarter with (you guessed it) another touchdown, this time on a 66 yard run by LeSean McCoy. This was just a downright horrid performance on offense. Eli looked like the pre-Super Bowl Eli, the one who threw into coverage, and overthrew receivers. There was no running game whatsoever. The only bright spots were Kevin Boss and Hakeem Nicks. The defense was just as bad, if not worse. The tackling was horrible. Downfield coverage was horrible. And while there was pressure, Donovan McNabb always evaded the pressure and made a play. Giants, even without facing Westbrook, still gave up the big play, this time to LeSean McCoy. The Giants are a team in trouble. Both defense and offense are struggling. Same with special teams. The Giants have gotten exposed in their three straight losses. All of their losses are to good teams. Their wins, save for the Cowboys, were against the worst of the worst. We’re now left to wonder: Can this Giant teams beat the good ones? Or are they a mediocre team, capable of beating the bad teams, but not beating the good ones. The Giants will be debating that all week. And so will all the fans. Is Sintim getting any playtime or no? Also whats the story with Barden? I never see him on the injury report but he is always listed as inactive on gameday. Is he hurt or are they marking him inactive due to a full roster? If its the second option Id look to bench moss and see what Bardin can do. It def cant hurt. I hear ya! Sintim played today…..I think.